“Enjoy some ‘fun in the mud’ with your own private mud chamber session followed by pure relaxation during your facial and massage in our dual treatment room. Naively, I thought from the website description that we would be experiencing a luxury pampering day and one which offered a slightly more VIP experience to those other packages on offer with the Titanic Spa. Sadly this really wasn’t the case and I wanted to share my experience with you as my readers so that you are aware of what to expect and are not let down like we were. Unfortunately we didn’t get offered welcome drinks upon arrival (which we definitely needed after the windy roads down to the spa!). After asking about these we were offered tea, coffee or a soft drink in the restaurant area. Please note that you cannot take drinks into the spa area for health and safety reasons so any visions of sipping champagne whilst you relax you can forget about. Our first stop of the day was the the Titanic heat and ice experience which was a series of different self service rooms including a sauna, steam room, foot bath, aromatherapy room and ice scrub. Whilst I loved the aromatherapy room which was filled with essential oils and calming music, it was quite difficult to relax as you could hear everything going on and people enjoying the other areas. Throughout the day we had access to the pool area and outdoor hot tub, however it was difficult to access anything as it was simply too busy. To me all of the facilities felt very dated, lack lustre and basic. They were minimal, tired, lacking in wow factor and only really a very minor step up from a public leisure centre, which was not only a shock but also a real disappointment given the excellent reputation the Titanic spa has. We then had our Elemis facial and hot stone body massages which I could not fault in any way. They were extremely relaxing and the products smelt simply divine. As a die hard Elemis fan I would wholeheartedly recommend any of their treatments and certainly couldn’t fault the way in which the therapist at the Titanic Spa carried the treatment out. One bonus is that there is a shop at the Titanic Spa which stocks the products used in your treatments so if you do fall in love with anything that they have used then you can pick up the product to take home with you. At around 1:30pm we had lunch from a selection of light options. I opted for the chicken caesar salad and a strawberry smoothie of the day. Whilst the salad was lovely, the smoothie of the day was a huge disappointment. Being titled ‘smoothie of the day’ I was expecting a made to order fresh smoothie, however what I got looked and tasted like pre bought bottled juice that had been left out for a few hours. As someone who makes fresh smoothies regularly at home, I can safely and very definitely say I make better! After lunch we then headed to our private mud chamber for our treatment. We were greeted by a lady who let us into the room and pointed to a bowl containing three different muds, explained what they were and then left us to it. Again, naively I had expected to have some form of mud treatment performed by a therapist but this was simply not the case. We applied the muds ourselves and waited patiently in the chamber for something to happen. After a few minutes steam started to come into the chamber, making the mud really clammy. After around ten minutes I started to become quite restless, feeling hot and clammy and not really understanding how the experience could be described and sold as a treatment when in reality we were sat in a steam room with a bowl of clays to apply ourselves. Neither my Mum or I enjoyed the mud chamber and I personally couldn’t believe that it was on the Titanic Spa’s treatment list individually for £35.00 per person. Certainly not at all justified. It goes without saying that after applying all of that mud we needed to shower and wash our hair, however I was disappointed to find that there were no hairdryers or plugs available to dry or style our hair. I asked a member of staff passing through the changing rooms where the plugs were so that I could dry and style my hair and she told me that there weren’t any. She said that people staying for a spa weekend could use the plugs in their rooms but unfortunately there weren’t any in the changing areas. As a day guest I therefore went home with wet hair… not the best when you are heading out for your 30th birthday meal immediately afterwards. So, as you are probably guessing from the above I really did not enjoy my day at the Titanic Spa and I was astonished that it has managed to keep such a good reputation and rating as one of the best spas in Yorkshire. Not only were the facilities basic, tired and lacking in that luxury spa feel, the staff lacked any form of enthusiasm and finesse. The atmosphere was flat and there was no VIP feel to the day whatsoever. As a beauty blogger and someone who has regular spa days and pampering (including carrying out her own treatments), to me the Titanic Spa left a lot to be desired. 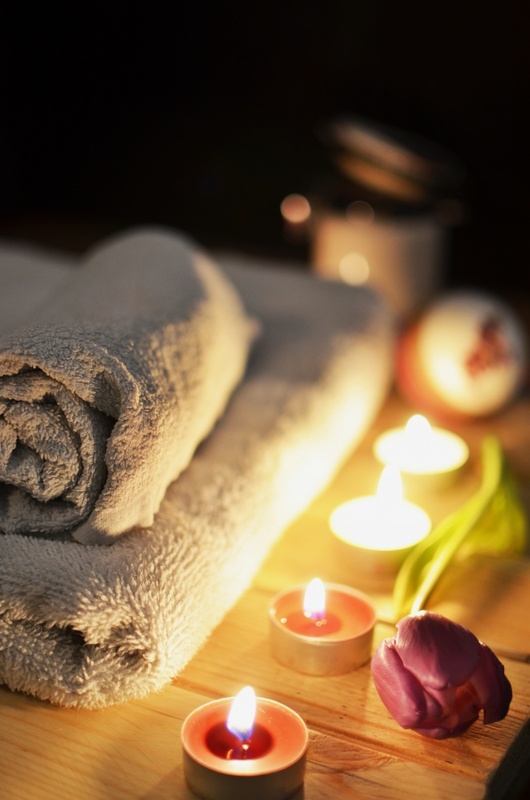 A spa day should leave you feeling relaxed, pampered and refreshed. A VIP spa day should go above and beyond that and make you feel like a Queen. Sadly the Titanic Spa failed to do any of these things for me and much as I hate having to write negative reviews (after all beauty and pampering is what I love!) I would hate for any of my readers to experience the same and waste their hard earned cash. Titanic Spa team if you are reading this, it is very rare that I feel compelled to write something so negative however I do think that it is important that you are provided with this feedback. This was a special occasion for me and unfortunately one which was a huge disappointment. To me it seemed that you had become complacent and forgotten about the continued customer experience. 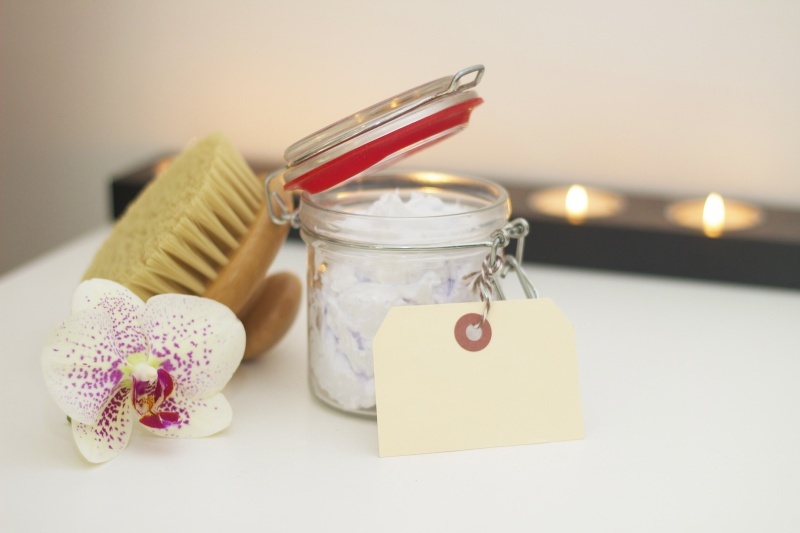 A spa day is a special day, whether it is for a special occasion or just for some much needed time out and pampering. Have you attended the Titanic spa? Did you have the same experience? If you would recommend any alternative spas please do leave their details below, I’d love to schedule a visit! P.S. 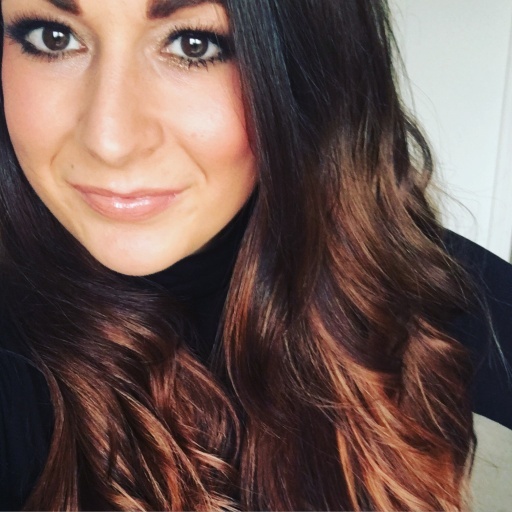 I have been shortlisted for Best Treatment Reviews in the Beauty Influencer Awards 2017, so if you enjoyed reading this review I’d love it if you could vote for me! Fancy reading more Spa and Salon reviews? The House Beauty Spa in Liverpool is AMAZING! As are Michael Robert Hair and Carol Joy London. Thank you for sharing your honest thoughts, Jessica! I am a big fan of Champneys spas, they have all the expected facilities and also use Elemis products so if you’re tempted by another spa day / break, I couldn’t recommend their hotels highly enough! Not to offer drinks, explain the treatments, or provide hairdrying facilities is a poor show indeed! I’ll be giving this place a miss! I have only ever had one spa treatment – at Rockliffe Hall that I was lucky enough to win – and it was brilliant. I don’t normally like people touching me but i did enjoy that. Having said that I would not have been impressed with that ‘mud treatment’ and being left to myself for that either, leaves a lot to be desired. Thanks for this review; I am not too keen on the idea of hot tubs generally as to me it’s just a bath outside and everybody I know who’s done them has ended up with a cold, so not for me. This would have been quite a long trip for me so I’ll definitely be giving it a miss having read this. Actually, this is the first review of yours I have ever read as it happened to show up on my twitter feed but despite your disappointment i did enjoy the read. Props to you Jess for writing such an honest review! I’ve looked at booking this spa before and I’m so glad I didn’t bother. Thank you for sharing this! Can’t believe this! I’ve seen a couple of spas with mud chambers-didn’t realise it was literally a bucket of mud!! I haven’t read such an honest review from a blogger in ages and it is really refreshing! The aspects you enjoyed are clear to see and you are so right, a VIP day should be just that – Queenly! Hope it didnt put too much of a damper on your birthday celebrations! That’s awful to hear that the day went so badly! I can’t believe they are charging so much for no extra benefit to the day. I keep looking at Spa days but I think I will definitely be giving this one a miss! Great review. I’m sorry that your spa day was such a let down. At the beginning of the post I thought you were going to describe an amazing pamper filled day :-(. I do think it is important that if businesses are promoting a VIP service it should be that and I hope they read your post and improve their services. Was great to read such an honest review! I hope you enjoyed the rest of your birthday though! So sad to hear I didn’t live up to the price tag – if you’re looking for somewhere that is fab you should pop Moddershall Oaks on your list! It’s stunning! I loved my trip to Eden Hall in Newark so I’d definitely recommend there! Treatments are pricey but the basic day package starts at £79 I believe so plenty of extra space for pennies to add to the end bill. I felt like a princess there that day and so did my mum! Such a shame when a company promises so much but it makes you feel let down.